I am psyched for this one because Brit Marling is awesome. Another Earth and The Sound of My Voice were both incredible Scifi stories, amazing because of the complexity within their simplicity. Both of them basically have 2 or 3 actors with some extras, both have fairly ambiguous endings, but they both make you think because of the ambiguity of those endings. Obviously nothing will ever top Inception for an awesome movie with an ambiguous ending, but considering Marling’s two movies were probably made for what a single scene of Nolan’s movie cost, they are impressive. I’m a little worried that this one won’t have any more depth behind it than just the father-son relationship thing. Especially with Mr. Night Shyamalan directing. It looks cool, and certainly could be worth seeing in the theater for all the effects, but probably not #1. This one looks to be a bit deeper than After Earth, but I have always been more of a Marvel loyalist and only Christopher Nolan’s Batman movies got me to like a DC character as much (or more) than my X-Men. 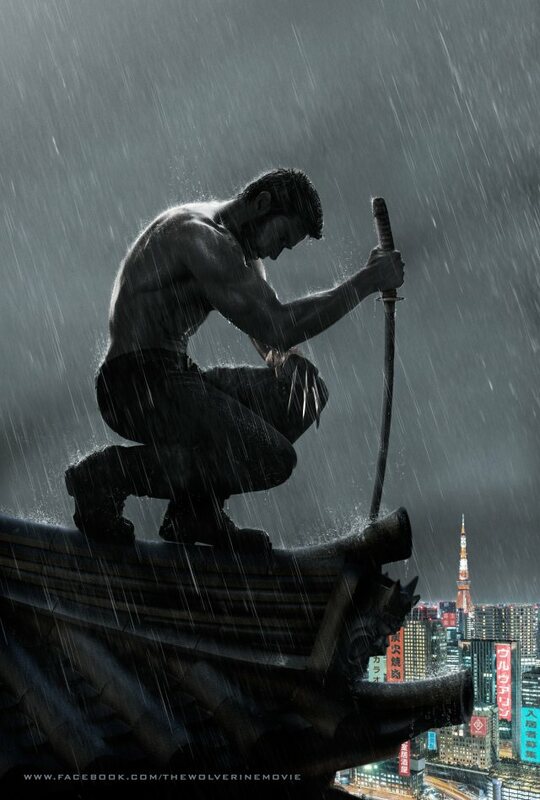 See also: The Wolverine (below), Joss Whedon’s Avengers, Iron Man, Deadpool from the other Wolverine movie (and unfortunately it looks like also from a movie with Ryan Reynolds), Thor (mostly because of the lead actress there), and hopefully soon an X-Men movie with more of Psylocke. Honestly, from the preview, this looks like a lot of Brad Pitt flying around in a helicopter taking out zombie hordes. It seems this project of finding my #1 might be easier than I’d initially thought. I’ll see it because it’s zombies and because Brad Pitt still reminds me of 12 Monkeys, but it’s definitely not my Most Excited To See. If it wasn’t Guillermo Del Toro, I’d probably laugh this one off after watching the trailer, but since he’s done Pan’s Labyrinth, and the Hellboy movies (though I haven’t seen any of them, I’ve heard they’re actually pretty good), there’s definitely potential in those big huge robots fighting Godzilla, er, big monsters in the Pacific who destroy cities. There are some hints that it could be a new, perhaps darker, Independence Day. I’m not actually really sure what this is even about beyond what’s on the Wikipedia page, but since it is supposedly the third part of a trilogy that started with Shaun of the Dead and Hot Fuzz, that’s enough for me. I’m not going to rank all the movies after #1 (and #1a), but if I did, this would definitely be close to the top. Posted on May 4, 2013, in Movies and tagged 2013, Elysium, Movies, Pacific Rim, The Wolverine. Bookmark the permalink. 2 Comments.